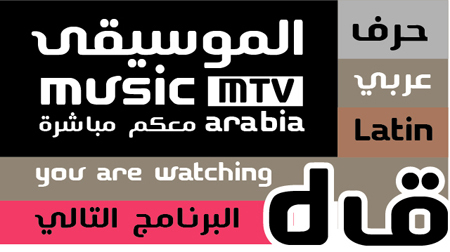 Another exciting type design project came our way at Tarek Atrissi Design The Launch of the Arabic regional Music Channel, MTV Arabia, required an entire branding for the new station, part of which was the design of a new custom Arabic typeface and a Latin counter-match to be used on all onscreen and printed communication material. The request was not surprising: if there is one sector which is highly aware and demanding for custom Arabic fonts, it is the Television Sector, since most TV branding project since the launch of channel such as Al Arabiya and Al Hurra heavily counted on their typographic unique voice as part of their identity. For MTV Arabia, the brief was simple and clear: Designing first a typeface that would to a certain extent reflect the culture of MTV, and that evokes a young and unconventional look and feel. 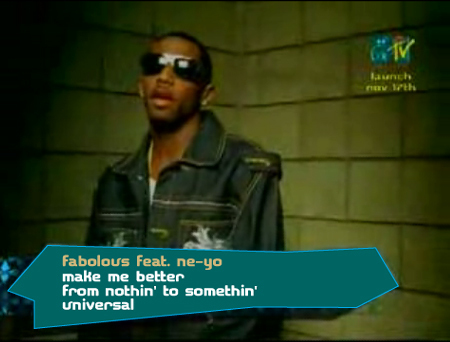 The People at MTV, a mix of the local team in the Dubai headquarters and people from the MTV Europe network in the UK, made it very clear for us that they were not looking for a “perfect” Typeface, nor a typical long process for the design of the dual script typeface designed for TV screens. The incredible short deadline in any case did not allow that. And the references and mood boards provided to us by the client, as sample of typefaces that reflect the mood they were looking for, made me quickly realize that this process will be the exact opposite of the BBC Arabic type design project we have in hand now, which has been ongoing for more than 8 month now, during which a big emphasis was laced on the target group, defining an appropriate style for such a vast news viewer across the arab world, and in depth focus on the design of every glyph of the font. The MTV Arabia project brief reminded me to a big extent to the first Arabic Type Design project I worked on at the MFA Design graduate program at the School of Visual Arts: Back then, my goal was to create an Arabic typeface with a contemporary look and feel, that fills a gap in the existing palette of Arabic fonts: Something slightly more funky, more graphic, informal, similar for example to latin fonts created by Barry Deck; something that would appeal more to a young generation of graphic designers that clearly was on the look for less traditional display and headline fonts. 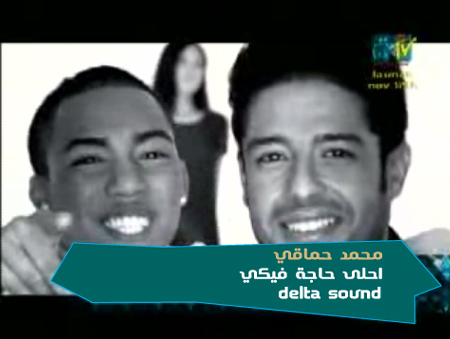 Preview of MTV Arabia font developed for the New Channel launched in Dubai. Because most custom Arabic font of TV stations across the Arab world have followed the trend of being very rigidly geometric and angular, the MTV Custom Typeface has a very rounded and organic feel, and have curves added to some glyphs both in Arabic and Latin that makes it on one more recognizable, and on the other hand less rigid. As far as I can tell, probably the MTV Arabia font will be the most “visible” Arabic typeface we have designed at Tarek Atrissi Design, since the start of our involvement in design typefaces, particularly as part of large corporate identity projects. Even before the launch of the Channel, Streets of Dubai have been filled with advertising billboard promoting the new TV station; Beirut airport welcomes you with large bilingual typographic banner stating the Slogan of the Channel “you are MTV”; and Youtube is constantly adding short clips taken from the pre-launch broadcast of the station. The consistent use of the font as part of every branding communication material is making this project for us even more exciting- as we see the font we have designed in our office take quickly a life of its own. Snapshots of the font in use taken from the Live Pre Launch broadcast and movies uploaded on YouTube.